Speaking for two minutes in Part 2 of the IELTS Speaking exam can be intimidating. Do you know how to effectively, and impressively, fill those two minutes? Today we’ll talk about what exactly happens on the test and how you should tackle it for the highest score. To hit an 8, you must fill the 2 minutes without difficulty. You must also provide specific, interesting vocabulary, and structure your answer cohesively and coherently. You must also use emotion in your voice for a high pronunciation score. Follow these strategies, practice them until they feel natural, and all of those things will happen! IELTS Speaking Part 2- You MUST take notes! This is a crucial part to being able to fill two minutes in a fluent, cohesive way. On the test, the examiner will first give you the directions for Speaking Part 2, then give you a topic card, a pencil, and a piece of paper. Then, you will have one minute to take notes on your answer. Practice brainstorming- it’s a skill, and like any skill, it must be practiced. Do not take notes in your native language- only write in English. Otherwise, when you have to start speaking, you will also have to start translating your notes while you talk. That is boring, folks, and will not impress the examiner. Instead, watch this video for stand-out ways to introduce your IELTS Speaking Part 2 answer. Lindsay and I have come up with simple, 3 step strategies for all the common topics in IELTS Speaking Part 2. Say exactly what the event/experience was. Tell the story about the event or experience. Directly say which object you are talking about. How you use it, why you use it, or why you want(ed) it. Tell a story about an experience connected to the object. To be honest, this question type is, for most people, the most difficult. You must practice! You can do this by simply sitting in a place, inside or outside, and try to describe every separate thing you see for 2 minutes. For example, if I’m sitting at my desk, I see my computer, a family photo, and an antique mirror I bought in a super cool antique store. I could definitely talk about each of these things, by following this strategy, for 2 minutes. This is the most important part of getting an 8 in IELTS Speaking Part 2. Practice these strategies! 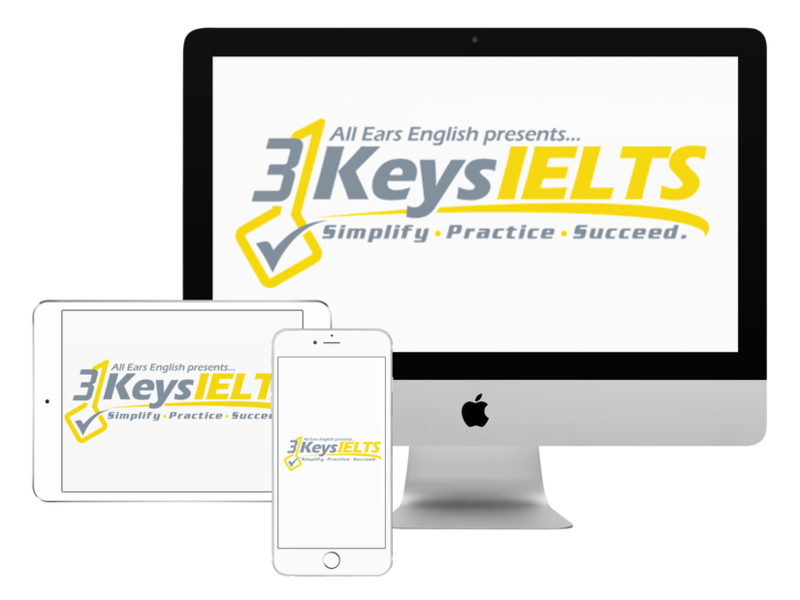 Get all the strategies you need for an 8 on all parts of the IELTS Speaking exam by getting into our course: The 3 Keys IELTS Success System. What do you think of today’s strategies? Have you practiced them yet? Tell us about your IELTS Speaking Part 2 experiences in the comments section below!